Sarah Richardson Latticely Pewter designer fabric features a bamboo lattice stripe pattern with off white background and gray lattice from Kravet Fabric. 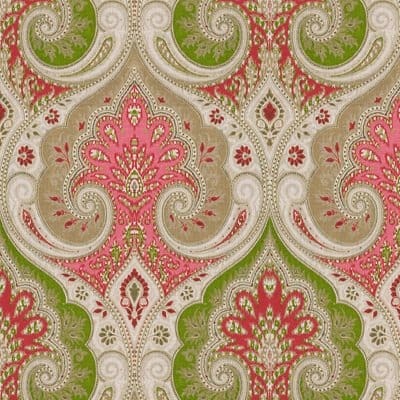 Suitable for drapery fabric, upholstery fabric, cushions, pillows and other decorative accents. Latticely Pewter is printed on a high quality 100% linen fabric. Meet Sarah Richardson and then shop our collection of decorative fabrics from Sarah Richardson Design by Kravet Fabric. We are a stocking dealer for many Sarah Richardson fabrics email us at customerservice@1502fabrics.com or call 336-803-3569 for the best price on Latticely Pewter. Give us a call we are friendly and helpful!